The other day I was bummed out and felt sort of like a failure. “I’m not doing enough,” I thought. The dirty secret of success is that highly productive people are often driven by self-doubt and self-loathing. But because this is America, you must always act like a shiny-happy person or people will annoy you with, “What’s wrong” types of questions. Nothing is wrong, even though I doubt myself every night, and succeed despite the doubts. I mapped out my year and realized time dilation had deceived me. June 14th – Attending an event with Jesse Lee Peterson in Los Angeles. Tickets are here. June 23rd – Mindset with Ed and Alex in New York. Tickets are here. 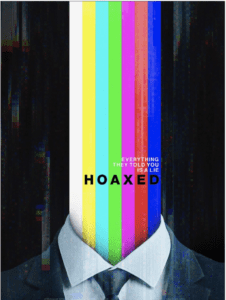 June 24th – TBD in Washington, D.C.
June 9th – Rough cut of Hoaxed is in my hands. Fall, 2018 – Theatrical release. August, 2018 – This is new material that you haven’t seen from me or anyone else. We actually did a “live set” style event for the filming of the masterpiece, and people loved it and felt it was my best work yet. We go deep, we go vulnerable, we go to the next level. My book about everything you need to win at life will be out once Hoaxed has been released. I am going to withdraw from public life to consider the next Act in my life. I never intended to get into politics. It was an accident, and then it became a challenge. 60 Minutes, Susan Rice, a bunch of scoops, and then John Conyers. That was a highlight reel year for any journalist. A member of Congress resigned because of me, and Chuck Todd asked the National Security Adviser about me on Meet the Press. That’s not little league. The DeploraBall, Bull Moose Party, and a Night for Freedom NYC and DC were major events to put on for anyone, let alone a gorilla guy. It’s really sort of mind blowing. People went to jail for planning an acid attack on the DeploraBall. A Night for Freedom New York was described a ridiculous (I’ll take that in a good way) political event. A thug also planned an attack, and he’s going to prison for 3 to 10 years. How did I go from a guy living the nomadic, location-independent lifestyle, to some media/political/public figure? The past 1, 2, or 3 years…I don’t even know how much time has passed. I was living with my wife in Paris in July, 2015, when the Energy told me some guy with big hair would become President. I had no interest in politics, and starting telling people why Donald J. Trump would be the next President of the United States. The hate and attacks came, and for me haters are fun. I fought back and then got sucked into the event horizon with the rest of you. My wife and I were living the dream. 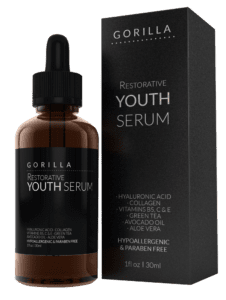 Gorilla Mindset had sold way better than I thought. We had total freedom and “book money.” What did we get ourselves in, or rather what did I get her in? I started goofing off online, and it was always fun for me. Some guy said he was from the New Yorker and wanted to study new media. I figured it was a troll but threw together a happy hour. He seemed shocked by how many people showed up, and it ended up as a full profile. When the profile – which was highly critical but not unfair – hit, there was a massive hate storm. Everyone who pretended not to know who I was showed their cards. They all knew. And they kept saying the profile “owned” me, whatever that means. And 60 Minutes called, and I did the impossible. No one goes on 60 Minutes and wins. Everyone was hyped to watch me get destroyed. Fifteen million people watched that episode of me. Not everyone knows my background. I was some fat kid growing up in a poor town. When I got sophisticated, I’d read articles like the Atlantic and New Yorker. Then I end up in them. It’s a surreal experience reading about yourself. Or watching yourself on television. And it’s also not me. Ask any journalist for a press release from me. They don’t exist, and I ignore most media inquiries. It’s nothing personal. Being in this game wasn’t my goal. Probably the reason I did what no one else could was because of my risk profile. I played like I had nothing to to lose. A hit piece will remove me from public life? Nope, and even if one did, I wouldn’t have lost anything. I never sought out to get famous or be legitimate. For me this was all a huge joke. When people ask about some jokes I’ve told in poor taste, it never occurs to them that of course I didn’t want to get into politics. I said whatever would shock people, because why not? Also, because of how I am plugged into the Simulation, hate shows up as geometric figures. I don’t interpret it emotionally or “feel” hate when people scream and attack me. They are shapes I move around and reinterpret into love, because people complain 10 times more often than they offer gratitude. Hate washes over my body like snow flakes in a cool winter storm. Where “here” is, I don’t know. And I’m going to need some time to reflect. With a young daughter in my life, and another little one is planned, it feels time to move onto something else. Maybe I’ll write poetry, or begin working on a great novel. Maybe I’ll do crisis PR and teach people the new ways. 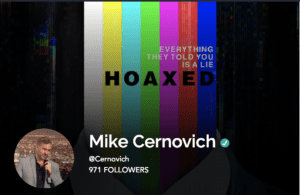 Writing at Cernovich.com has been enjoyable for me, and being on Twitter feels like a job. Rebuilding the community and network is rewarding. My read of the Energy says its time to leave, sometime in October. I’ve seen a vision of a Curtain closing. What will open up? We will see.